Tom and Alice both LOVED the snow on Friday. Friday was the day it was almost 60 degrees and all the snow mostly melted away. They could play in the snow remains without wearing heavy coats or gloves, and we could build a snowman out of it, and make snowballs that day. It really was the best. 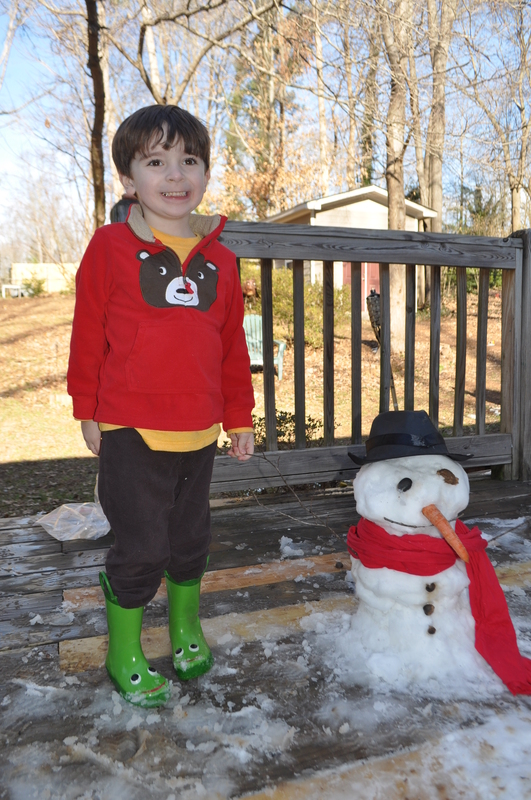 A photo of Tom with our (TOTALLY AWESOME KINDA SMALL MELTY) snowman. And then Tom ran off to throw snowballs at trees for about an hour. While the trees were enjoying that beat-down, a massive love affair took place in front of my eyes. And then she just threw his hat off and gave him a hug. 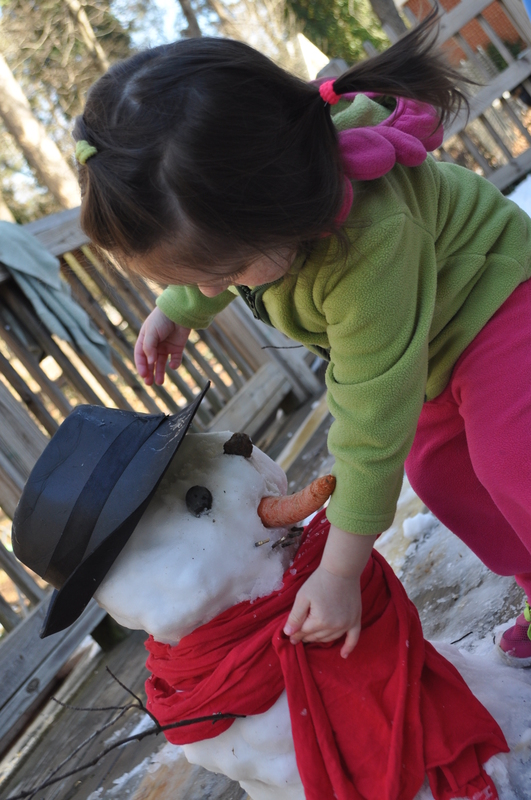 The next day he melted and all that was left was the scarf, a carrot that had been nibbled on (Huck), and of course, our dear sweet memories of a love affair ended too soon. 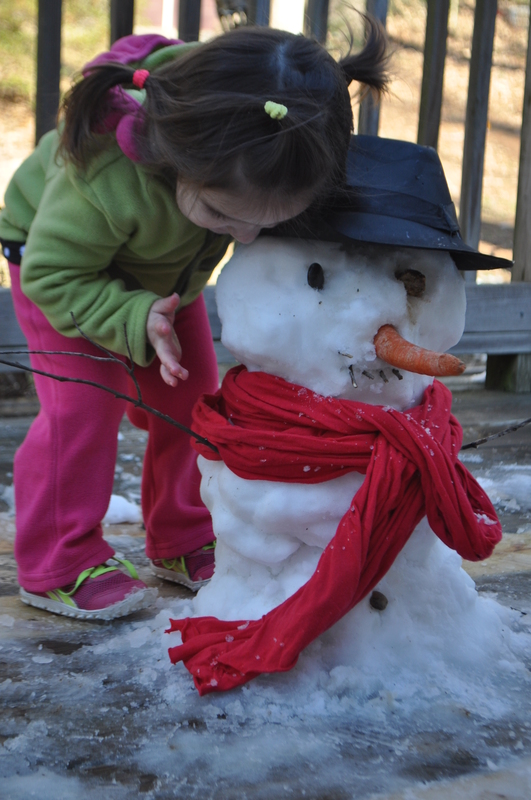 We hope to see you again, Mr. Snowman! Hope y’all have a wonderful, LOVE-filled week! This entry was posted in Alice, Bits, Motherhood, Tom. Bookmark the permalink. 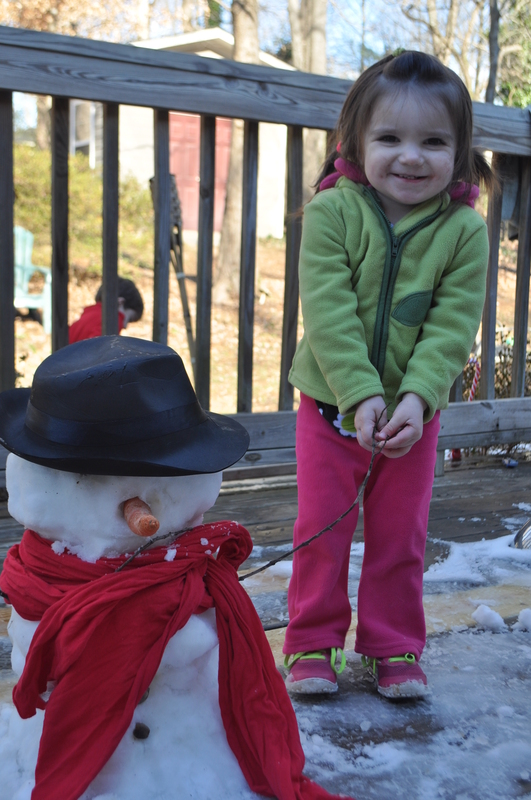 2 Responses to Mr. Snowman. love it! 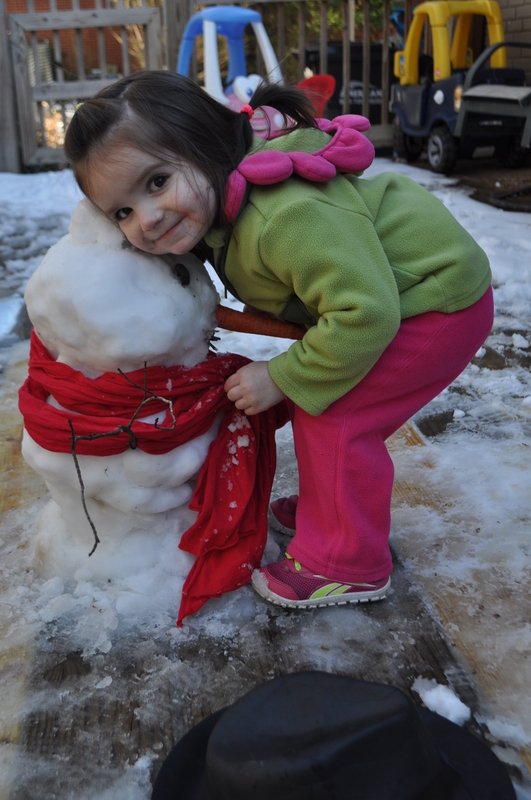 was it her idea to hug it or did you request that for the picture? Oh, no. All of it was all on her own!